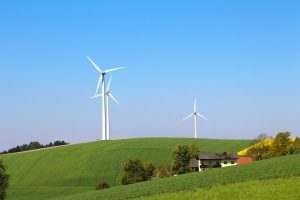 A Wednesday vote of the Maryland Senate saw the passage of the Clean Energy Jobs Act (Senate Bill 516) which would require Maryland to receive 50% of its energy supply from renewable sources by the year 2030. The legislation sponsored by Senator Brian Feldman (District 15 – Montgomery County) increases current State energy efficiency goals and mandates a study of how to reach 100% renewable energy usage by the year 2040 (the current state mandate is 25% renewable energy usage by the year 2020). Joining Feldman in his sponsorship of the legislation are twenty-six Senate colleagues including Senators Beidle (District 32 – Anne Arundel), Benson (District 24 – Prince George’s), Carter (District 41 – Baltimore City), Elfreth (District 30 – Anne Arundel), Ellis (District 28 – Charles), Ferguson (District 46 – Baltimore City), Griffith (District 25 – Prince George’s), Guzzone (District 13 – Howard), Hester (District 9 – Howard and Carroll), Kagan (District 17 – Montgomery), Kelley (District 10 – Baltimore County), King (District 39 – Montgomery), Kramer (District 19 – Montgomery), Lam (District 12 – Baltimore and Howard Counties), Lee (District 16 – Montgomery), Nathan-Pulliam (District 44 Baltimore City and County), Patterson (District 26 – Prince George’s), Peters (District 23 – Prince George’s), Pinsky (District 22 – Prince George’s), Rosapepe (District 21 – Prince George’s), Smith (District 20 – Montgomery), Waldstreicher (District 18 – Montgomery), Washington (District 43 – Baltimore City), Young (District 3 – Frederick), Zirkin (District 11 – Baltimore County), and Zucker (District 14 – Montgomery). Senate Bill 516 is cross-filed in the House of Delegates as House Bill 1158. House Bill 1158 was heard before the House Economic Matters Committee on March 8th, but has yet to receive a vote. Similarly both Senate Bill 516 and House Bill 1158 now await the action of the House of Delegates. All legislation must successfully pass both the Maryland Senate and the Maryland House of Delegates by Sine Die on Monday, April 8th to be sent to Governor Hogan to be approved or vetoed.